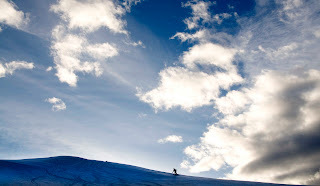 Here's your last bit of Stoke for 2011! First off, a little something for you Ice Junkies out there. 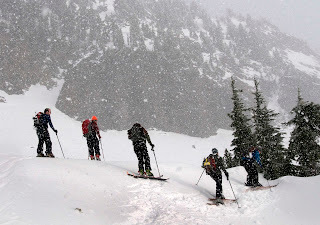 With the Ouray Ice Fest just around the corner, hopefully this will help get you pumped up. This clip has a little bit of everything - skiing, alpine, bigwall, expedition - all the things we enjoy here at AAI. This last video is a little long, but a great way to finish out 2011. I hope you enjoy it as you look towards the New Year. DENALI PARK, Alaska: Effective January 1, 2012, Denali National Park and Preserve will collect only the $10 per person entrance fee for visitors age 16 and older. The $20 per vehicle fee has been eliminated, because the park does not collect the fee at an entrance station as the majority of national parks do. The fee is valid for seven days. The park will continue to honor the Interagency (IA) Federal Recreational Passes such as the Annual, Senior, and Access Pass, and the Denali Annual Pass. These passes all provide entry for the cardholder and up to three other adults, and they are all sold year-round at Denali National Park. The Senior and Access IA Passes are good for a lifetime, and can also be obtained by mail. The Access Pass (for U.S. Citizens with permanent disabilities) is free, and the Senior Pass (for U.S. citizens age 62 or older) is $10. 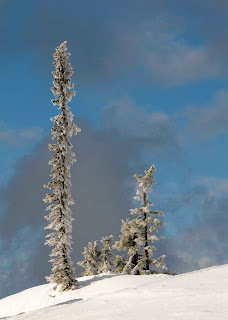 Information on how to obtain these passes by mail is posted at http://store.usgs.gov/pass. There is an additional processing fee for applications done via mail. 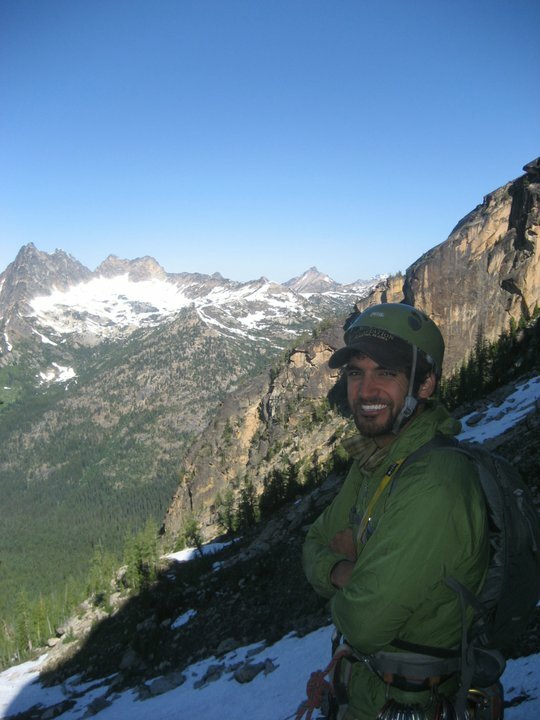 The IA Annual Pass is $80 and is available on-line at http://store.usgs.gov/pass. It is valid for one year. The Denali National Park Annual Pass costs $40 and is valid for one year for entry into Denali National Park. It is only available for purchase at the park, i.e. it is not available by mail. 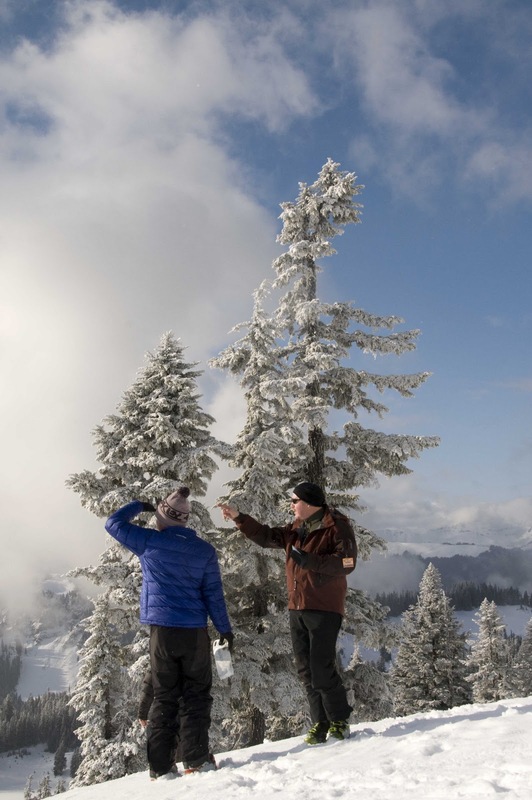 The majority (80%) of the fees collected remains in the park, and is used for pre-approved projects that improve visitor services and facilities. The remaining 20% is used for similar projects in parks that don’t collect an entrance fee, or for funding agency-wide efforts such as Youth Corps Programs. Additional park information is available one on the park website at www.nps.gov/dena or by calling 907-683-9532 from 9:00 am – 4:30 pm daily. 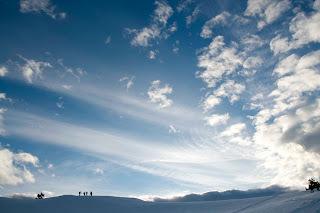 Stay connected with “DenaliNPS” on Twitter, Facebook, YouTube, Flickr, and iTunes – links to these social media sites are available at www.nps.gov/dena. Louv provides an apt example with a discussion about a tree fort. Children learn a great deal from both the building of the fort, as well as the subsequent play in the fort. First, there’s the construction. That’s where they learn about architecture, mathematics and geometry. Then there’s the use of the finished product. Suddenly, it’s no longer a bunch of wood haphazardly nailed to a tree, but a spaceship or a castle. This unstructured play allows children to stretch their imaginations. Their fantasy worlds have rules (i.e. the tree is a monster and if you touch a certain branch it will eat you). The playacting that takes place in a tree fort allows children to work on their executive function. 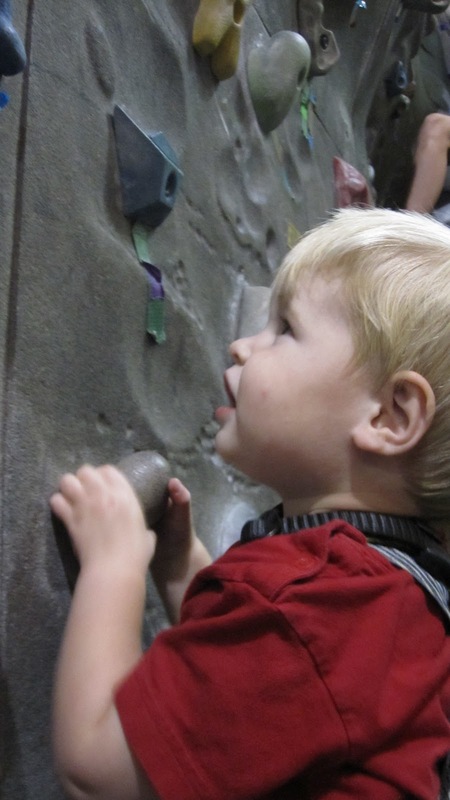 This cognitive skill is incredibly important to a child throughout his or her entire life. Strong executive function helps students concentrate in school; it helps them control themselves and it helps them understand abstract concepts. The mystery was fleeting, but the idea of a blog wasn't. That ice axe lying on the floor reminded me that one question regularly arises when we are getting ready to go into the field. 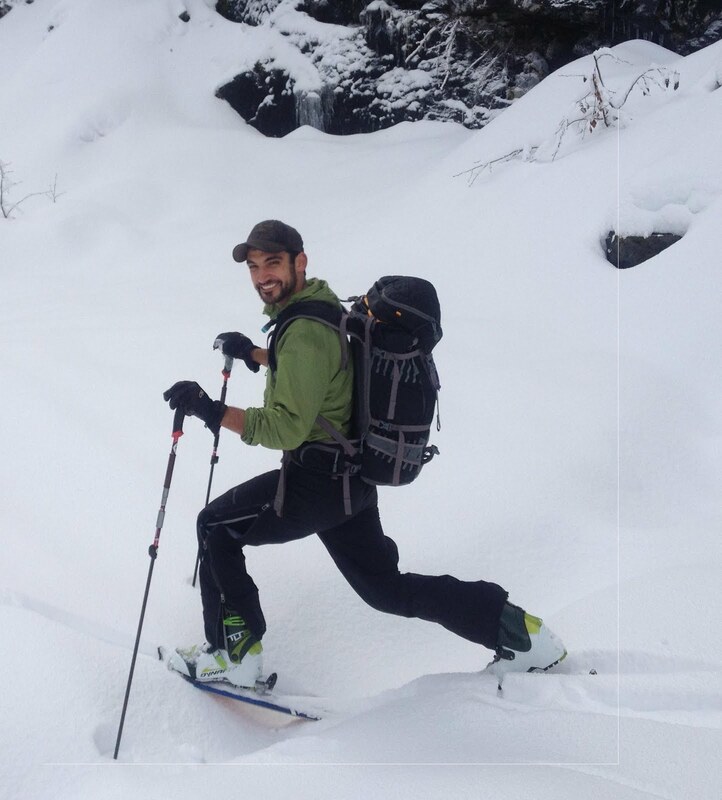 How do I attach my ice axe to my backpack? Most backpacks have two loops that hang down off the back of the pack. To attach the ice axe, one must slide the shaft down into one of the loops with the pick facing in toward the center of the pack. in place were to fail, the axe would not fall off. After the axe has been dropped down into the loop, rotate the spike up toward the top of the pack. Usually there is some kind of strap or buckle that can be fastened over the shaft so that the axe stays in place. The Black Diamond pack in the following picture has a special cord with a toggle to hold the axe in place. 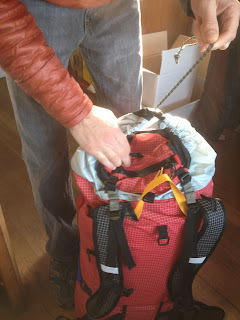 A pack with an ice axe properly stowed. After I took these pictures I found a nice hole in the backyard. It looked a little bit like somebody had been using a hoe to scrape up the grass. I immediately knew better. To me, it looked like an adze had been been at work. All the skiers and boarders had powdery hopes. 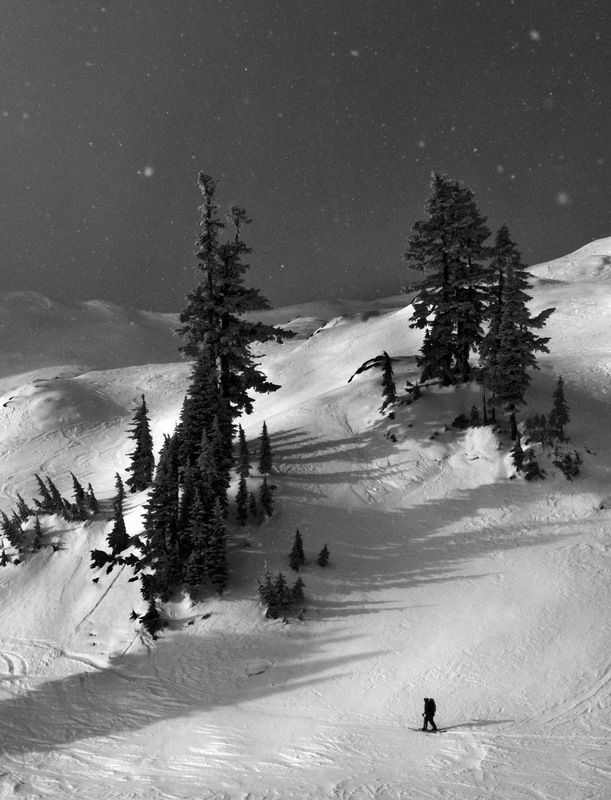 Untracked lines and racing your slough. But to what should the wandering eyes should appear? 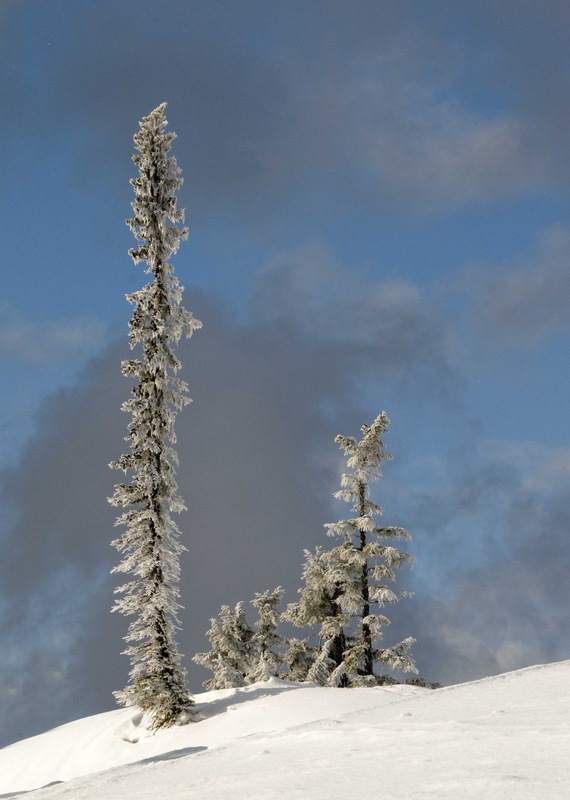 Is it the local ski rep with freebies and gear? Jumping and spinning and hucking himself. You might get a gift you'll cherish so dear. 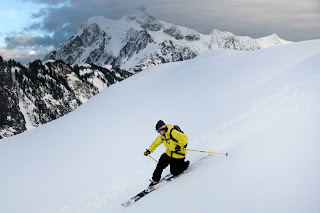 just got done teaching my third AIARE Avalanche 1 course of the season. 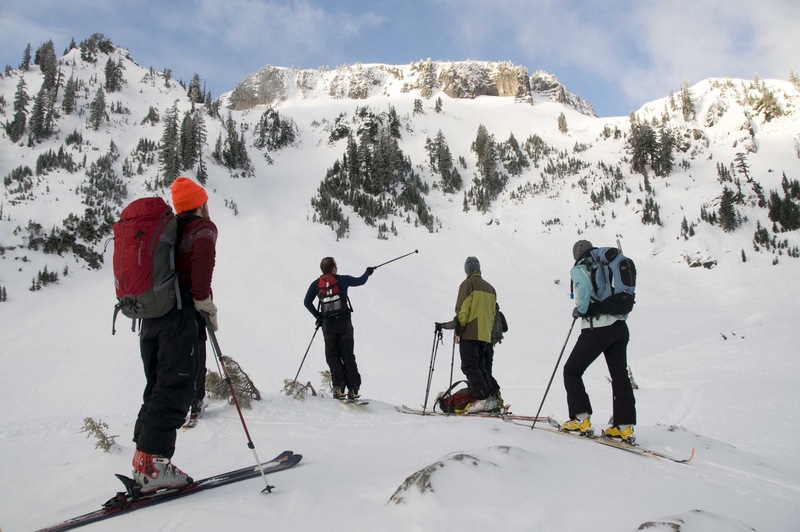 these courses have one classroom day in Bellingham followed by two days in the Mt. Baker ski area backcountry. For the most part the weather has been pretty cooperative, and despite the low snow pack, we have managed to get in a few good turns. 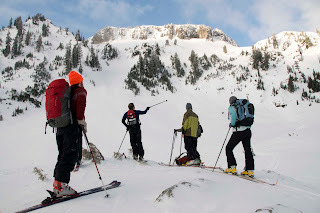 Route finding in the backcountry. Not the best skinning conditions. The weather for this last class was forecast to be awful (mid 30's and raining). Saturday turned out pretty nice. Sunday had such a bad forecast I made the decision to not take my camera out. Turns out it was a pretty nice day also. 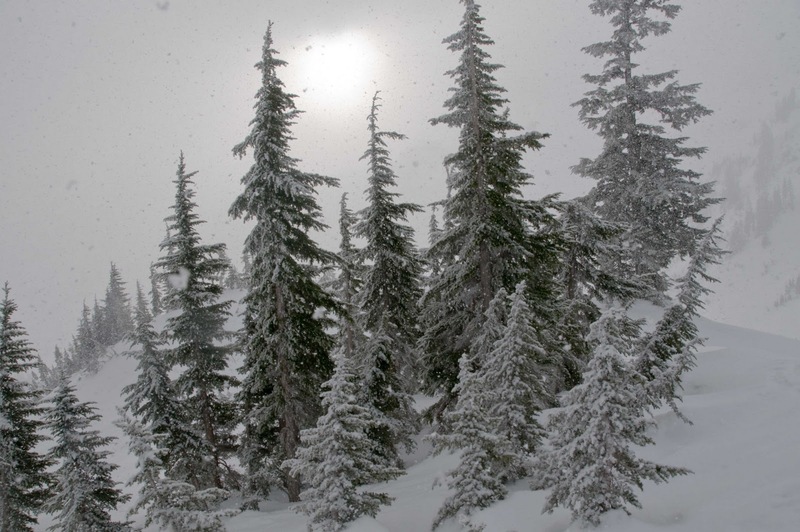 All these photos are from near Artist Point on Saturday. Erin's Group on the ridge getting ready to head down. Erin, showing us how its done. Traveling and living in the alpine environment can pose many challenges, and often times it is the little tips and tricks that make existing in the alpine more enjoyable. 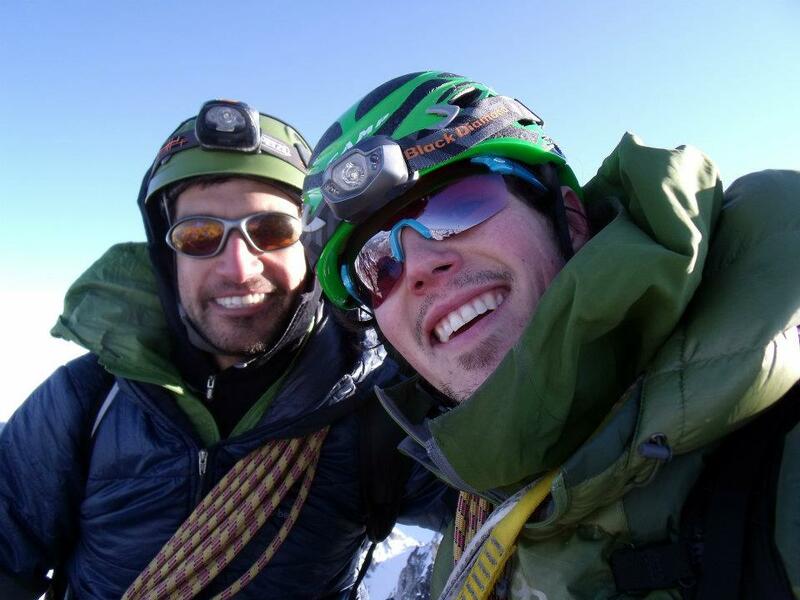 Many of these tips and tricks have been passed down from climber to climber and guide to guide, but some of them are stumbled upon randomly and seem so inconsequential that they often don't get shared. Well - I would like to change that! 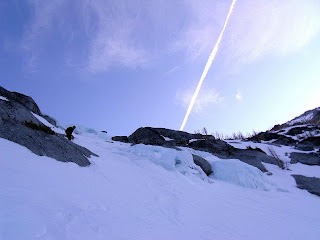 In an effort to do so, I'm introducing a new series to this blog, called "Tricks in the Alpine." 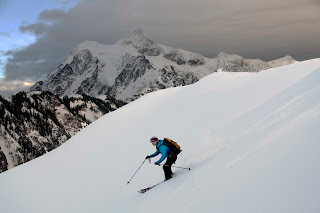 In each episode, we will attempt to share alpine trickery that you may or may not know already. Please feel free to comment on how you've used these tricks, expanded on them, or look forward to using them! 1. 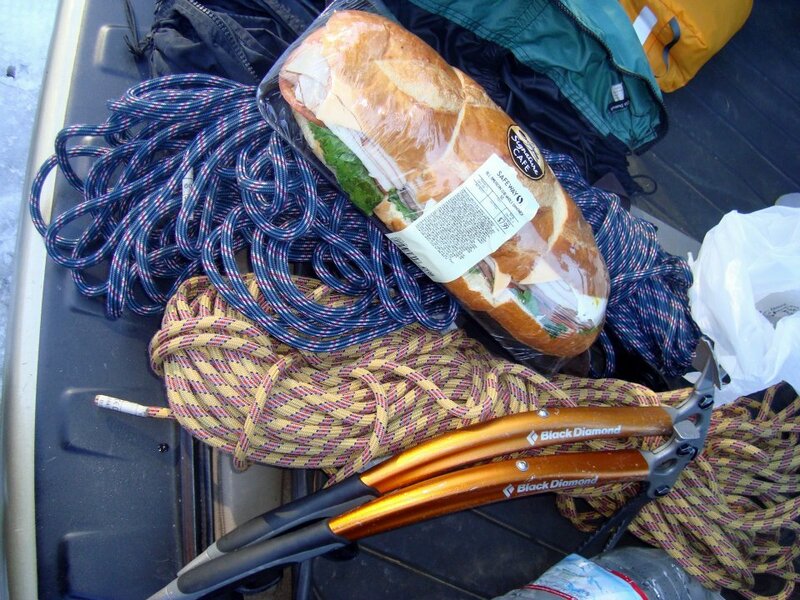 Get rid of your auto-locking carabiners. Let's face it, auto-locking carabiners have their place. And that place is in a climbing gym (or some may argue during an AMGA Guide exam!). 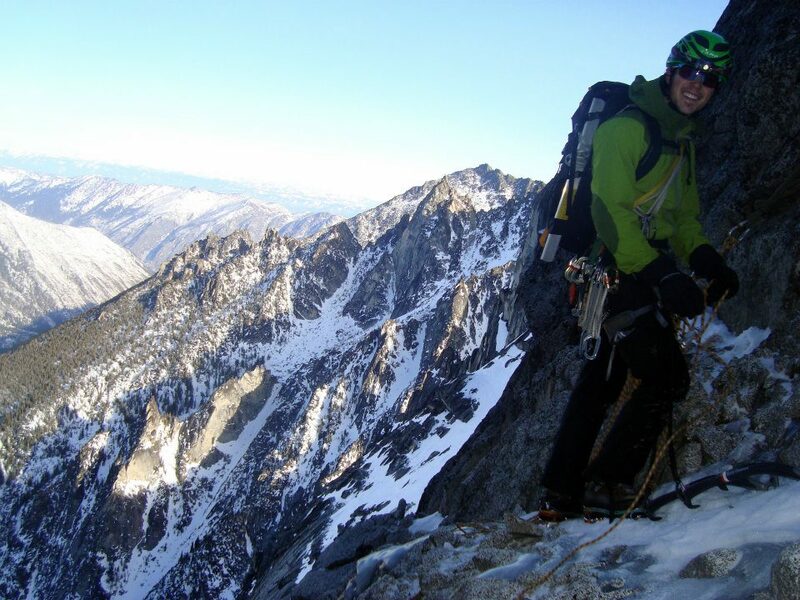 In the alpine terrain however, having a mixed rack of auto-locking and screw-gate carabiners can lead to confusion and potentially even un-locked carabiners. Additionally, auto-locking carabiners are more prone to sticking/freezing in an unlocked/locked position, and are extremely difficult to handle with one hand. I made a quick video showing me trying to put a one handed clove hitch into a auto-locking carabiner versus a screw-gate. To be fair, I practiced many times with the auto-locking carabiner and was actually able to do it one handed, even though it was still very difficult. With gloves on - not sure I could have done it. Additionally you can even see it stick for a second in between me putting the rope in, and then getting the clove in. With the screw-gate biner, it's as smooth as silk pie. Of course I would have locked the carabiner afterwards too if I was using it appropriately. Perhaps I only saved a few seconds and a small amount of effort, but in the alpine - everything counts. 2. Use wire-gates, and size them appropriately. Wire-gate carabiners are lighter, less prone to freezing and "gate-flutter," and come in all sorts of shapes and sizes. For non-lockers, there is little to no reason (if you have the available budget) to get anything but a wire-gates for the alpine terrain. 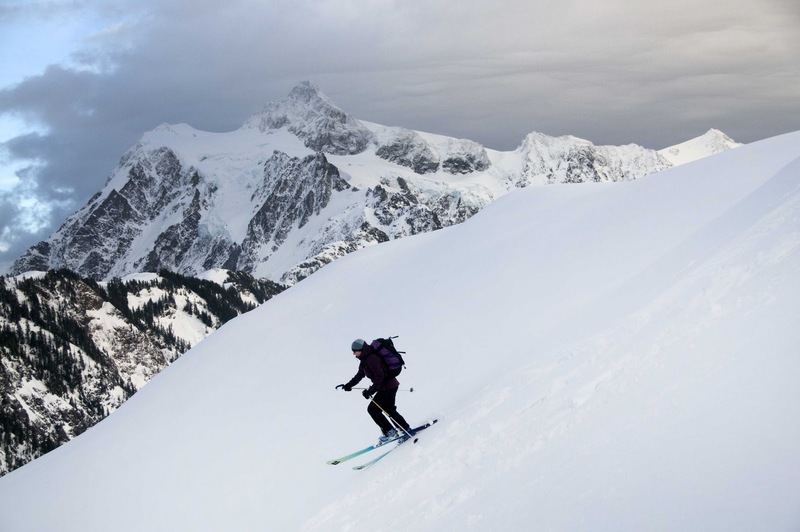 Sure you could spring for key-locking wire-gates that have a hooded nose, or use your key-locking solid gate carabiners for sport climbing - but in the alpine it's all about weight and functionality. Additionally, choose the size that makes sense. I always used to go with the lightest, smallest wire-gate, until I found that those are extremely hard to open with gloves on. 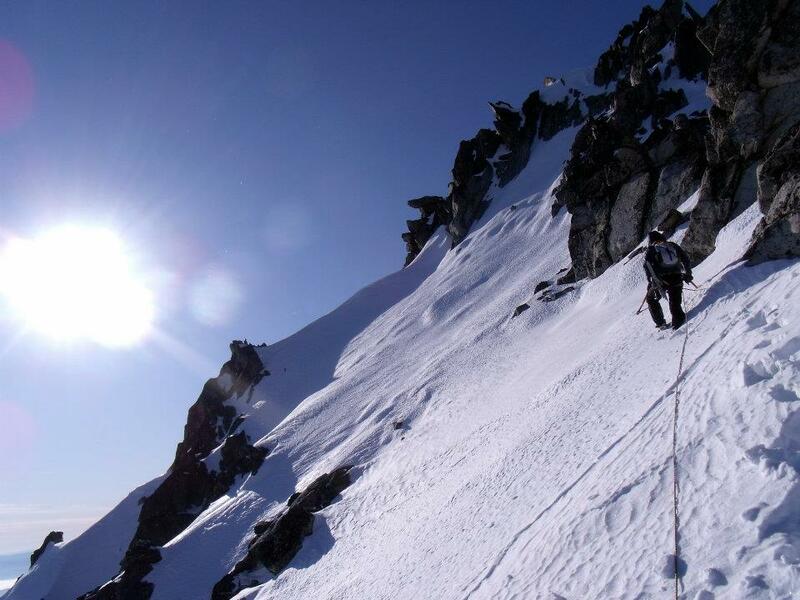 Although you generally want to go as light as possible when your climbing hard, alpine terrain - you still want to be able to use your gear. Going with a lightweight but slightly larger wire-gate serves me well when I've got heavy gloves on. Two differently sized wire-gates. 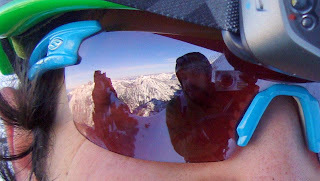 The one on the left I like to use for ice climbing when I have gloves on. The one on the right I prefer for rock climbing when I have more dexterity. 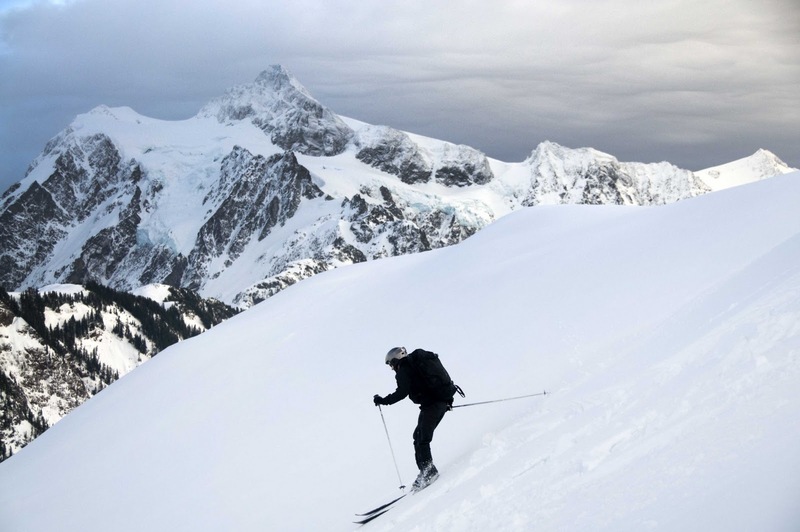 Which is more awesome, the skiing or background music? 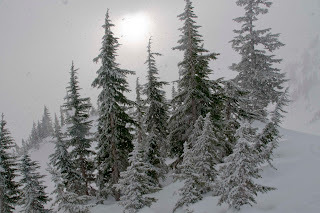 High pressure in the Cascades, especially in the Winter, is something that can not and should not be wasted. 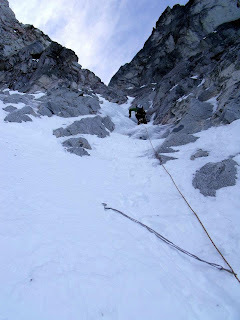 Seeing as we have been having an unusual stretch of good Winter weather, my buddy Kirk Turner and I headed into the Enchantments to try the Triple Couloirs route on Dragontail Peak. This route is a classic Winter/Spring Cascade objective. 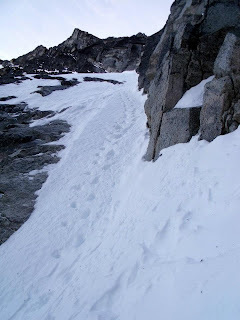 Neither of us had tried a route like this before, so we were excited with a bit of trepidation. We also weren't sure what conditions were like, so went in with open minds and found that they needed to be expanded even a bit more. 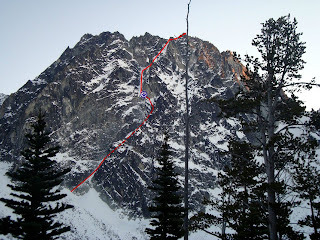 Dragontail peak with the route we climbed drawn in. Dotted lines mark where the route goes behind the visible rock. Blue arrow denotes our one rappel to get into the second couloir. 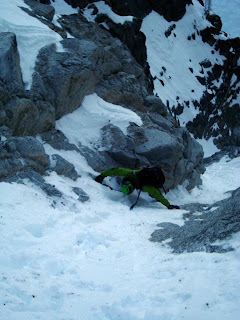 Kirk climbing into the first couloir through a short bit of mixed. Kirk in the middle of the first couloir. 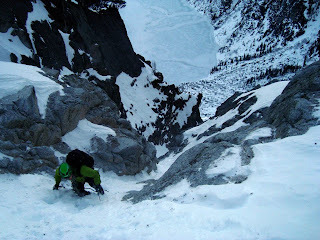 Kirk moving through a slot on the first couloir. There is a section of ice runnels on this route which are not currently in. We found a variation 200 feet up from the runnels. The variation currently involves some steep loose snow over rock. 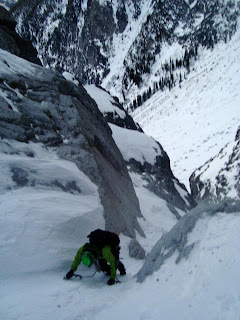 I found a rappel anchor (a piton and a stopper with a red sling attached) into the second couloir, but it looked like I would be rapping into a bone dry section of the couloir. I elected to climb an 80 foot pitch of mixed 5.8/5.9 to another anchor I spotted above (a 2-piton anchor with a purple sling). The anchor was slung in an American death triangle, which we recommend you not using. Due to a mind expanding incident on this pitch, I did not cut and replace the sling - something that I normally do while in the mountains. The entrance to the variation we took on the route. Kirk moving through some mixed terrain before roping up for our first pitch. Another shot of Kirk styling it! 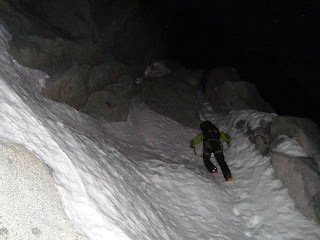 At the top of the second couloir, into the third, is the only true exposed ice on the route we encountered. I placed a 13cm screw and we simul-climbed until a mixed section above forced us to place a belay. Kirk and his bomber 3-piece anchor after his stellar mixed lead that involved some cams and pitons. 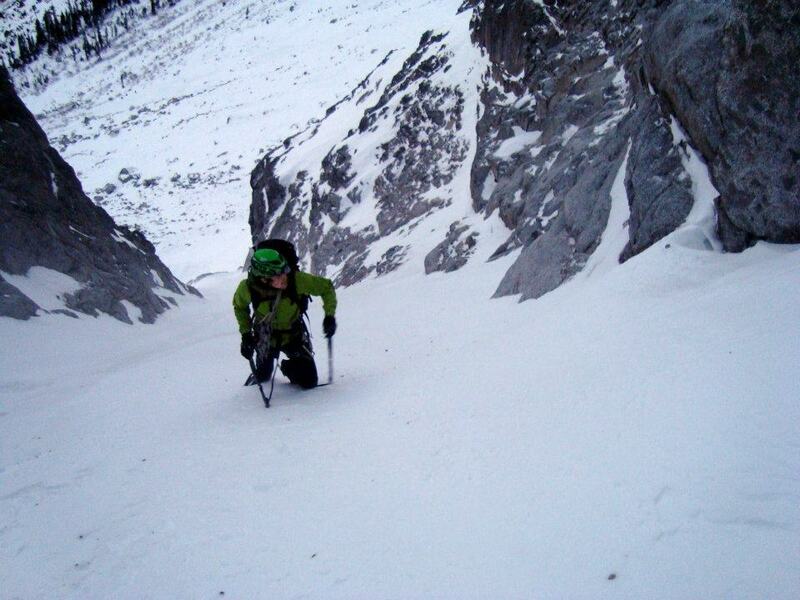 Kirk at the top of the third couloir. 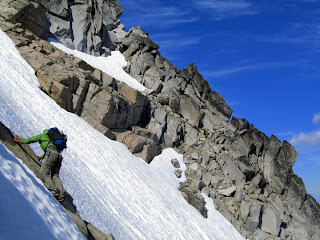 Headed up the last snowfield and a bit of mixed climbing to the summit. Down-climbing some ice bulges on the decent down Asgard Pass. What a great trip, with beautiful weather, with an awesome friend. Hard to beat trips like this (for me) in the mountains. Overall we climbed two pitches of mixed, simul-climbed a few sections and the rest was cruiser. Just goes to show how there are phenomenal winter routes in the Cascades - and winter has only just started! If you ever want to join us on one, check out our page on Winter Alpine and Ice Climbing here in the Northwest. Given the opportunity, I would love to run up this route again! Stop Developers from Ruining Red Rock Canyon! WHO BENEFITS FROM 44,000 EXTRA CAR TRIPS AND CONSTRUCTION TRAFFIC IN RED ROCK ANYWAY? THANK YOU FOR THE CONSTITUENT MEETING! NO CONSTRUCTION TRAFFIC IN RED ROCK! THANK YOU FOR REQUIRING DUE DILIGENCE WITH BLM! Saturday, January 7, 2012, 10:00 a.m-3:00 p.m. Finish Line rally party (open to everyone, even if you don't run or ride) and media event: Rockin' live bands, resolution party, Red Rock T-shirts, TV/news, lunch ticket for yummy Lifetime Cafe, free schwag bags, indoor/outdoor luxury cabana-style venue, and more! 3) Clark County Commission Meeting, Jan 18: THE NEXT BIG DECISION: Will Clark County Commissioners back down on their conditions? It seems as if the message we all got last time was that the developer won his battle for Red Rock. He may have won that battle, but at a big cost. First of all, it was only a concept; he still does not have a zone change. (To get a zone change, he would have to prove that he deserves special treatment and nobody else does.) Additionally, the developer's lawyer told the commissioners at the last hearing that in order to get the concept plan passed, he would accept their condition to keep construction traffic off of the scenic byway. Now that he has his concept approved, he wants to renege on that part! Our message never changes. We stand together and say, NO WAIVERS! Red Rock is not your construction highway! Rural (what you bought) only! High density does not belong in Red Rock! Red Rock is not for sale! Fair Play! You don't deserve anything more than anybody else! Sure, Mr. Developer, you can ask for a zone change or anything else you'd like, just like the rest of us can. But just because you or any of us ask, doesn't mean that it's appropriate for the Red Rock, or that county commissioners have to make an exception just for you! At Save Red Rock, after standing strong for so many years, we're finally starting to see a shift in climate. It's taking a concerted effort, but together we can turn the tides for Red Rock. As always, thank you so much for your concern for Red Rock Canyon! 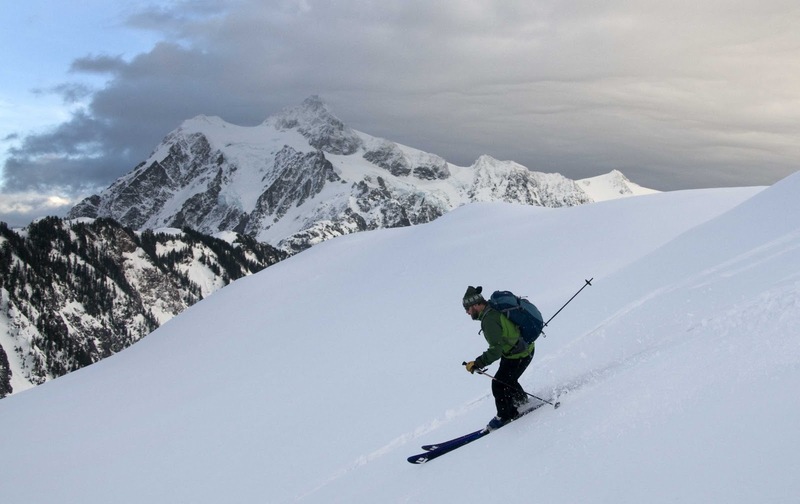 A few weeks ago, a guide service in Crested Butte put on an Avalanche Awareness seminar. Guide services all over the country do this regularly. However, something interesting happened at this particular seminar. The instructor decided to have four different types of avalanche airbag backpacks, deploy simultaneously. The idea behind these backpacks is that if you're caught in an avalanche, you can deploy this emergency bag. 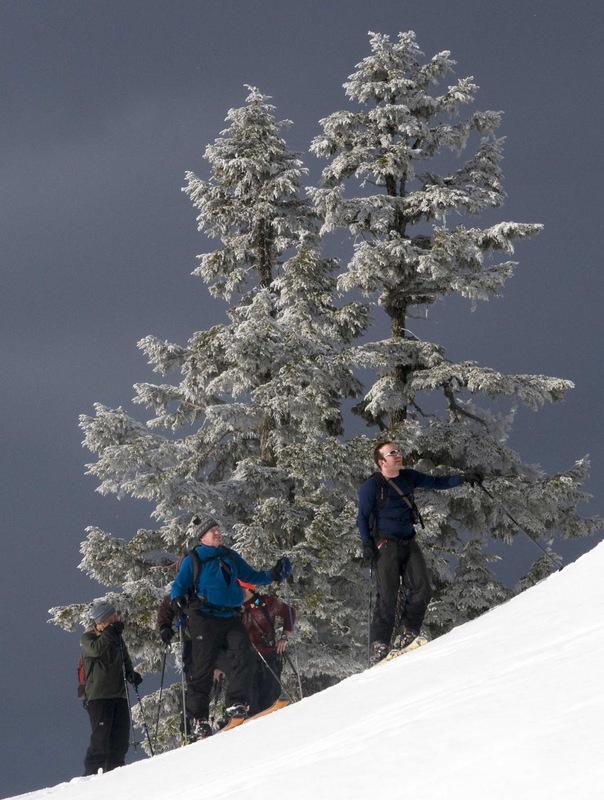 The bag will theoretically keep you on top of the avalanche. 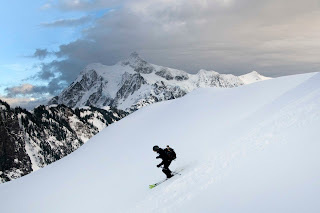 So as you can imagine, it is very important that the avalanche airbag deploys quickly. In the following video, the systems are from left to right, BCA, Mammut, Wary and Snow Pulse. It appears that the Wary pack deployed 15 minutes later. Of course this isn't a scientific sampling. It was just four packs in a head-to-head with some proficient operators and some that were not. Each individual's reaction time has to be taken into account as well as how the packs actually deployed. So take this video for a grain of salt. There are many aspects that must be taken into account prior to the purchase of one of these systems. First, of course, there's affordability. Second, there's the difficulty of refilling the cartridge. Third, there's the question of how easy it is to stow and retrieve the trigger. And lastly, one's perception of a given brand and indeed, even one's loyalty to it. Before making any purchasing decisions, you must look at the advantages and disadvantages of three main aspects of this system. What type of gas is being used to inflate the balloon chamber? How many balloons are being inflated? What type of mechanism is being used to trigger the deployment of the balloon(s)? To decide what kind of gas (compressed air or nitrogen) is the most appropriate for you, first and foremost, you must think about where you are going to use your pack. Air temperatures and altitude may have an effect on cartridge performance and in effect, the speed by which the gas moves from the cartridge to the balloon(s). It appears that the compressed air used in BCA packs works a little better at lower altitudes, while nitrogen works a little bit better up high. The triggering system should also be considered. In the previous video it's clear that there were multiple problems with the trigger for the Wary pack. 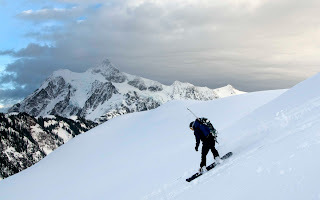 If you are going to be using the pack as a recreationalist you may have different needs than a ski patroller or a guide. Why? Because each group has different needs. The recreationalist needs affordability and (hopefully) functionality with a simple pull. Professionals often use packs with mini-explosives that (according to the respective marketing departments) will guarantee deployment above and beyond the minimum standards. And lastly, a guide may want a remote control triggering mechanism in case one of his or her participants is in a slide, but fails to trigger the system. Now the real trick of these packs is not that they might "save" you from an avalanche. Instead, it's that they might trick you into a false sense of security. 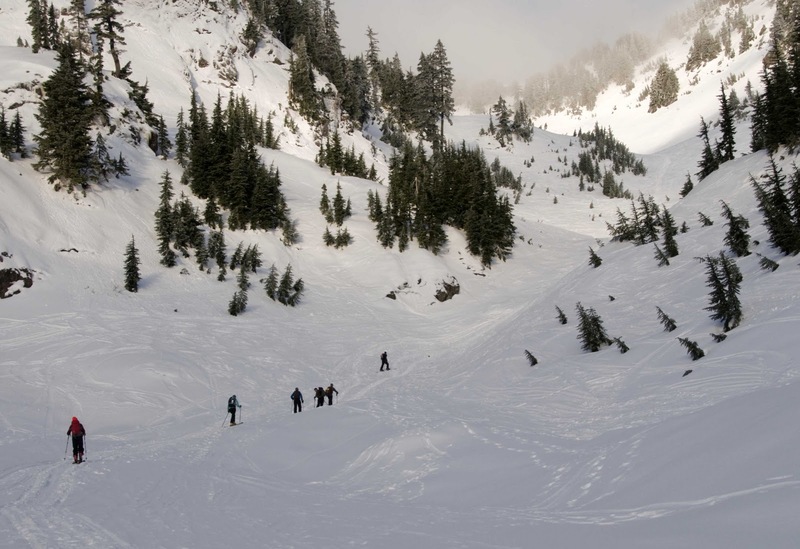 The pack will give you a better chance if you're in a slide, but it won't save your from drop-offs or trees or boulders or any number of other terrible things that could happen to you if you're involved in a slide. 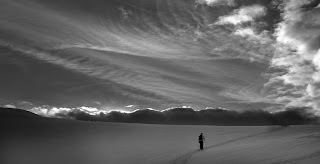 The best tool that you have to avoid an avalanche is your own brain and your own ability to use it. If you haven't taken an avalanche course, then you're missing the key ingredient. 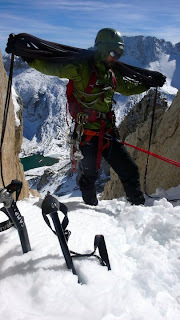 WildSnow has done a great job evaluating the packs shown in the video as well as a number of airbag backpacks. Before purchasing any of these packs, you should definitely take a close look at their blog on the subject. To read it, click here. 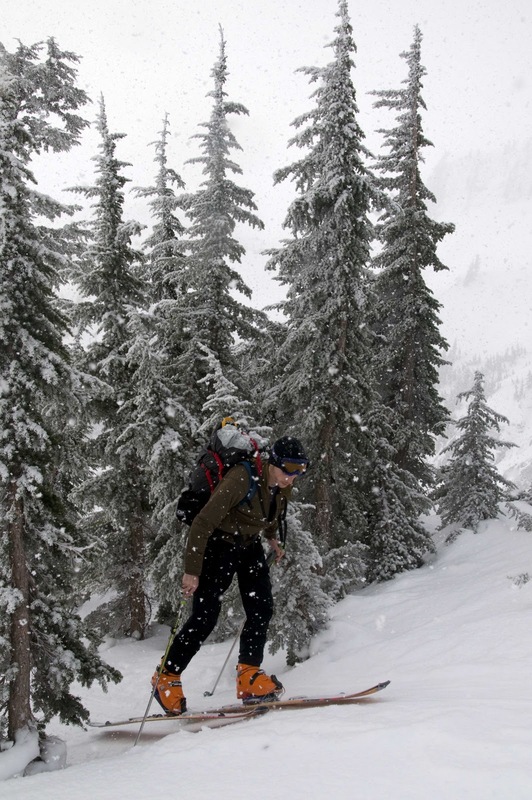 Not all packs have crampon pockets, and not all people like to strap crampons on the outside of the pack. 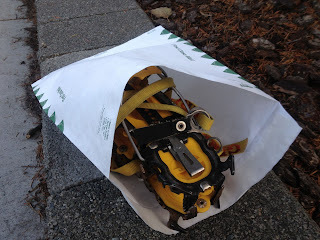 If that's the case, your choice is to put your crampons inside your pack or under your pack lid. 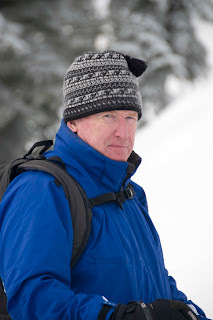 Trouble is, crampons are sharp - and you don't want them cutting/tearing into your pack or clothes. Instead of wrapping your crampons in a sweater, or haphazardly throwing them in your pack, pick up a Tyvek mailing envelope from the store. This extremely lightweight envelope is also very tear resistant, and will provide just enough protection for your sharp points. Not all packs have removable lids, or brains - as I like to call them. This can pose an issue when you just don't have enough inside the pack to fill it, but you still want to use the organization of the pockets on the brain. If this is the case, you end up with a floppy backpack that doesn't balance well, and the brain throws you around as you move up a climb or hike down a trail. A simple fix to this, is to open up your pack, and stuff the brain inside the pack itself. Once you've done this, pull the drawcord shut and voila! Your pack should now balance better, as well as look cleaner. That's it for this episode. Keep your tips coming! 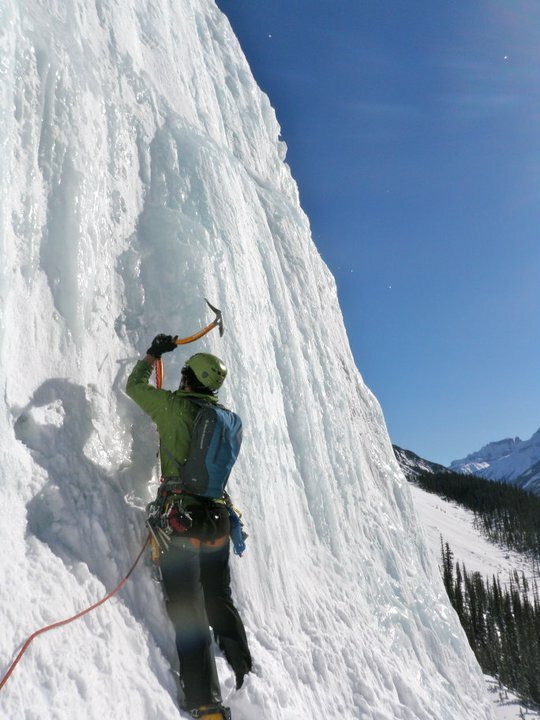 With the Bozeman Ice Fest going on this week, Ouray scheduled to open up next weekend and the Cascades in the middle of a nice weather window prime for winter ascents, it's time for some Ice Stoke! The Racing Stripe from Bryan Gilmore on Vimeo. I added this next clip because I am sure there are many other climbers out there, other than myself, who have wanted to try this. I have a hunch that this guy is not a climber, but it would still be fun anyway. I think this is about to be the most conceited, narcissistic, and vain post that I will ever make. But honestly, when I take 1 minute to look at my Facebook photos, 50% of them are of me in my windshirt. 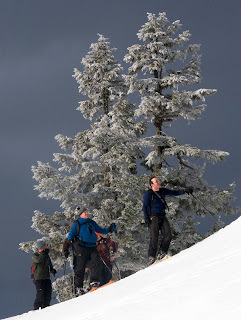 I knew I loved my windshirt, that it was my go-to layer; I didn't know I loved it this much! My windshirt happens to be a Patagonia Houdini, and I really am quite fond of it. It does anything and everything that I need an action layer to do. 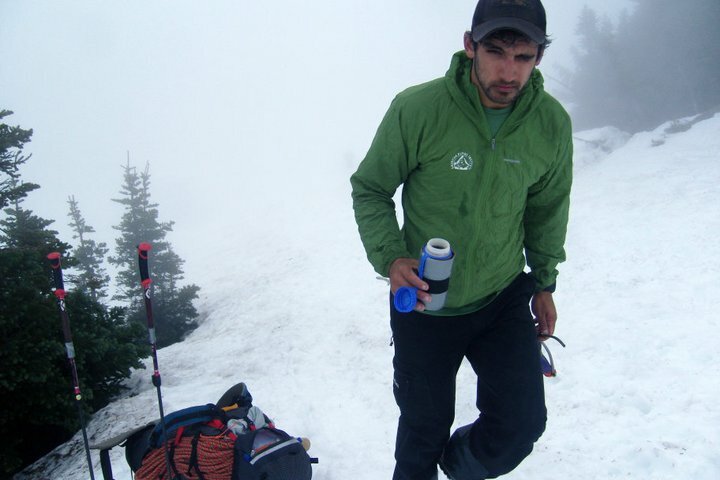 What follows is a photo essay of me in my windshirt in all sorts of environments. 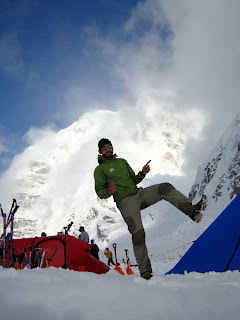 Wearing my windshirt while ski-touring near Mt. Baker in Washington State in November. Perfect on the uphill with a light wind, adds just enough warmth under a shell on the way down. 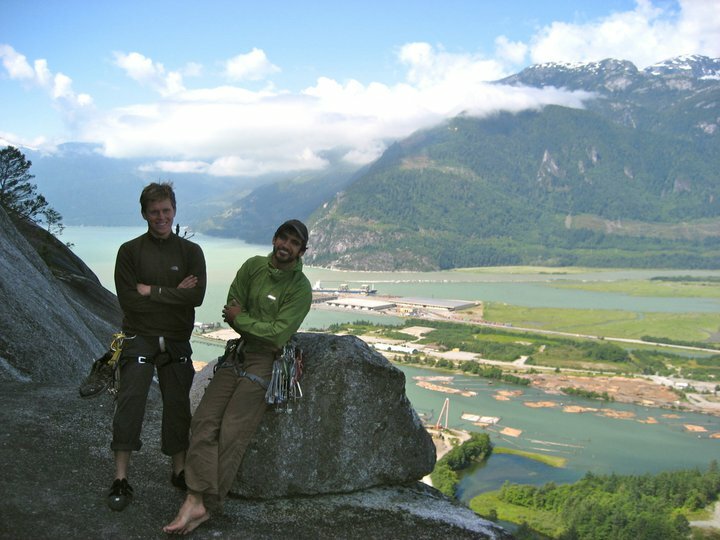 Topping out on a route up Squamish, B.C. 's Lower Apron in July. The windshirt is a perfect "momentarily in the shade and I'm cold," layer. Racked up at the base of a route about to head up into the sun. 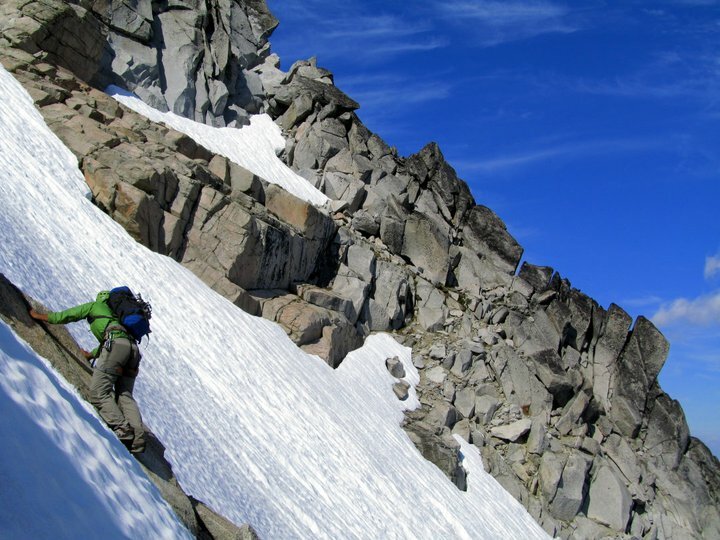 This climb is the Southwest Rib of South Early Winter Spire in the Washington Pass area of Washington State. I did this climb in July. Showing off my tennis shoes at base camp on Denali in Alaska in June. I never took this layer off, even as I went higher. 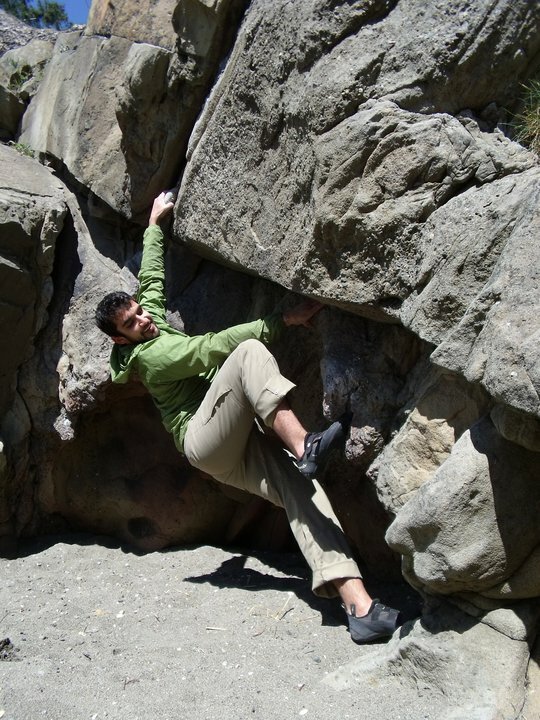 Bouldering on a beach in April. The sun is out but the light breeze made the windshirt a must. Climbing ice in the Canadian Rockies in February. When it's cold and dry and you're working hard, the Houdini keeps your warm enough without sweating, while keeping the snow/water off your skin! 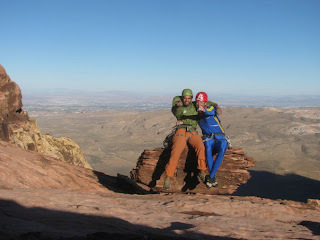 Celebrating a link-up of Black Orpheus and Johnny Vegas to Solar Slab in October (actually on Halloween, hence my buddy's racing suit) in Red Rock, NV. October in the desert can be cold and windy. 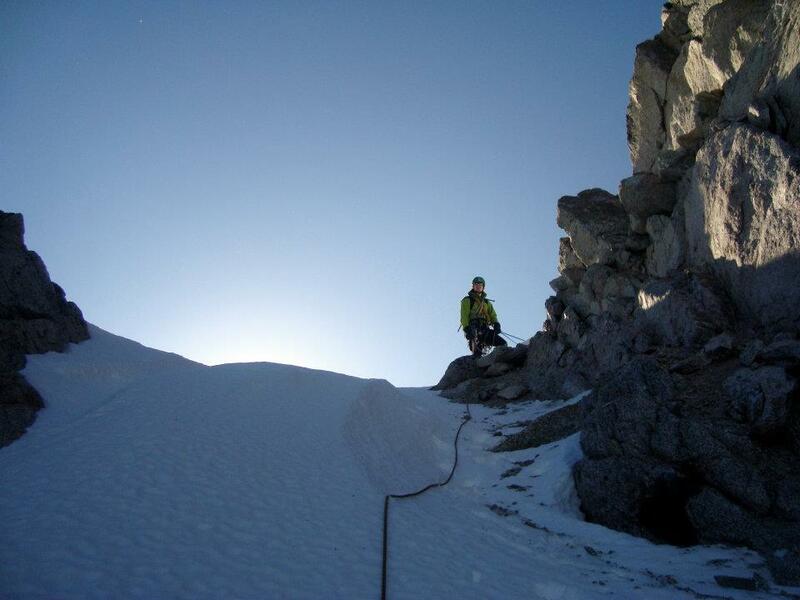 We were moving fast and simul-climbing most of the route, so the windshirt kept me at the perfect temperature. Finishing a climb up a steep couloir in the Sierra of California. It was a cold and snowy september, and with the altitude, I really appreciated that perfectly thin and perfectly light windshirt that added the right amount of warmth and protection from the elements. 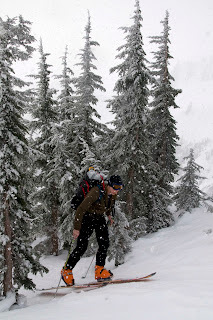 Slogging through some awkward conditions on Mount Rainier in March. It was humid out and I would have sweat too much in a hardshell, hence the windshirt! So, I'm really sorry about that. I'm even a little sick of looking at myself at this point. But really, I was just trying to prove to you how much I love this layer, and how often I use it. Go and get your windshirt today! I doubt you'll be disappointed. Weekend Warrior - Videos to get you SCARED! !